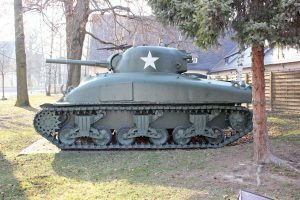 Ed is home now. 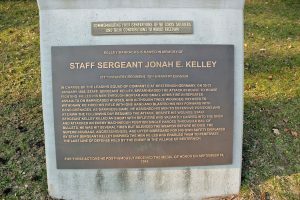 His modestly marked grave, next to the graves of his parents and his sister, is on a hillside, overlooking the picturesque, rolling hills of West Virginia. 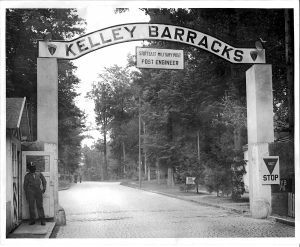 And, in Stuttgart Moringen, Germany, about 250 miles south east of the village where Ed Kelley was killed in action, still stands Kelley Barracks, one of the remaining outposts of the American Army in Germany. 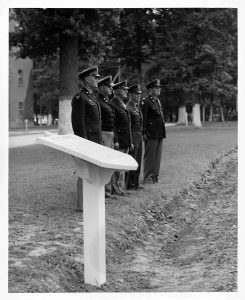 For almost fifty years it has been an important American Army Corps headquarters, essential in our struggle against the Soviets to win the Cold War. 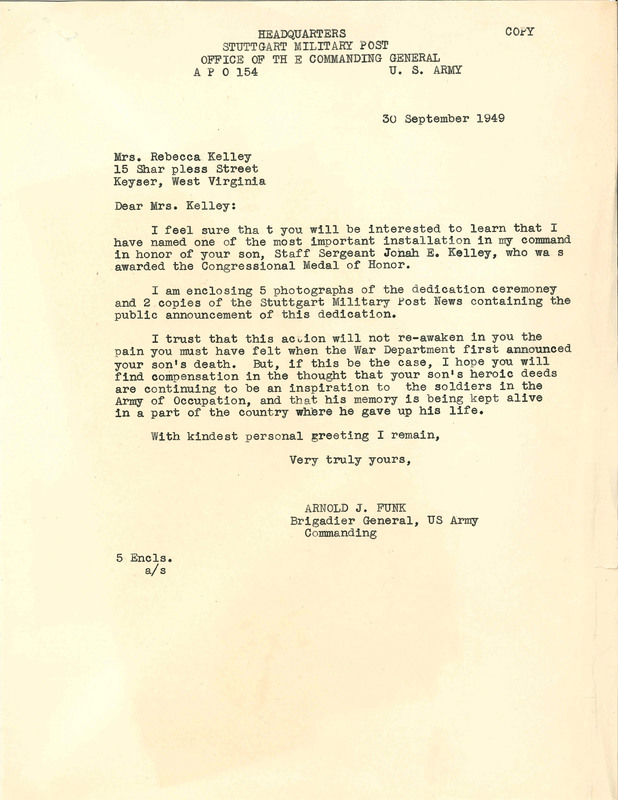 I feel sure tha t you will be interested to learn that I have named one of the most important installation in MY command in honor of your son, Staff Sergeant Jonah E. Kelley, who was awarded the Congressional Medal of Honor. 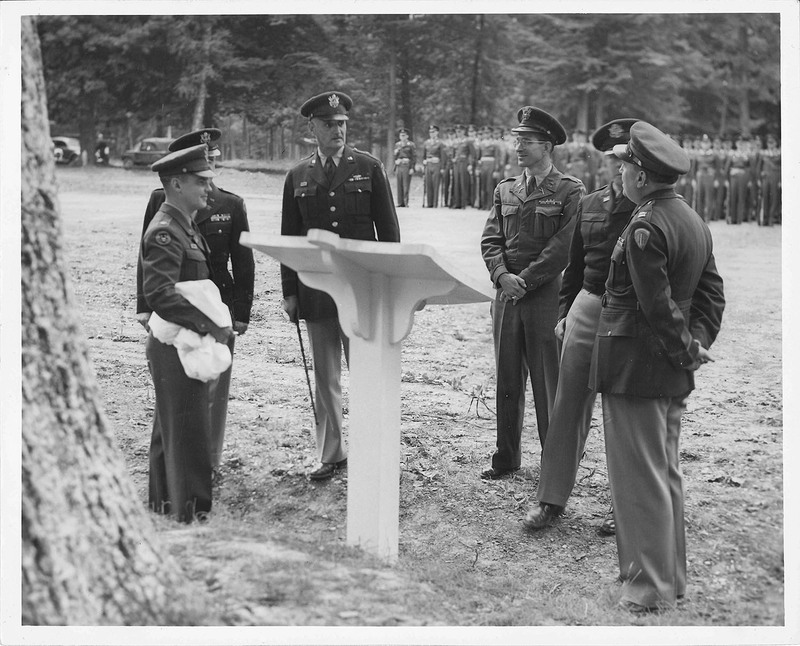 I am enclosing 5 photographs of the dedication ceremony and 2 copies of the Stuttgart Military Post News containing the public announcement of this dedication. 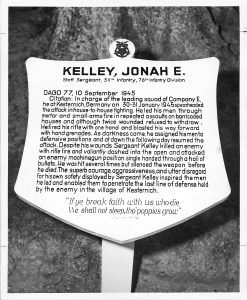 I trust that this action will not re-awaken in you the pain you must have felt when the War Department first announced your son’s death. 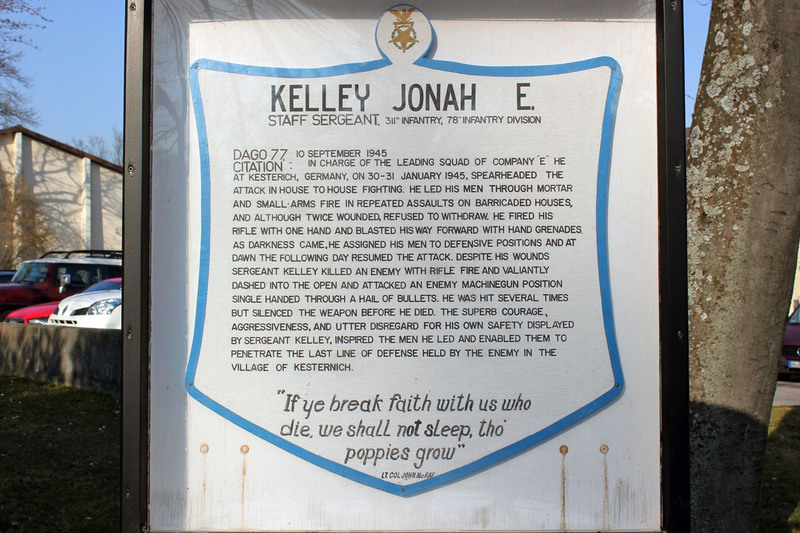 But, if this be the case, I hope you will find compensation in the thought that your son’s heroic deeds are continuing to be an inspiration to the soldiers in the Army of Occupation, and that his memory is being kept alive in a part of the country where he gave up his life. 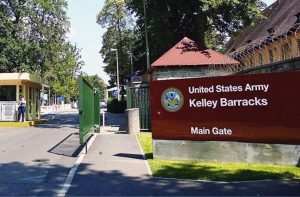 Keyser – In keeping with a policy of renaming barracks used by occupation troops of the U. S. Army in Germany to honor the memory of American War heroes, Stuttgart Military Post recently held a formal ceremony dedicating Kelley Barracks in honor of Sgt. 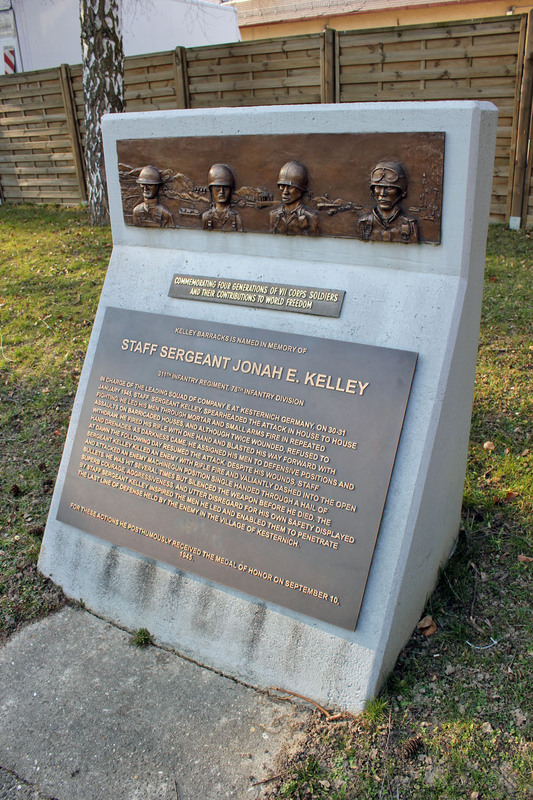 Jonah E. Kelley, Congressional Medal of Honor Winner, whose father, Jonah N Kelley, lives at 15 Sharpless St. here. 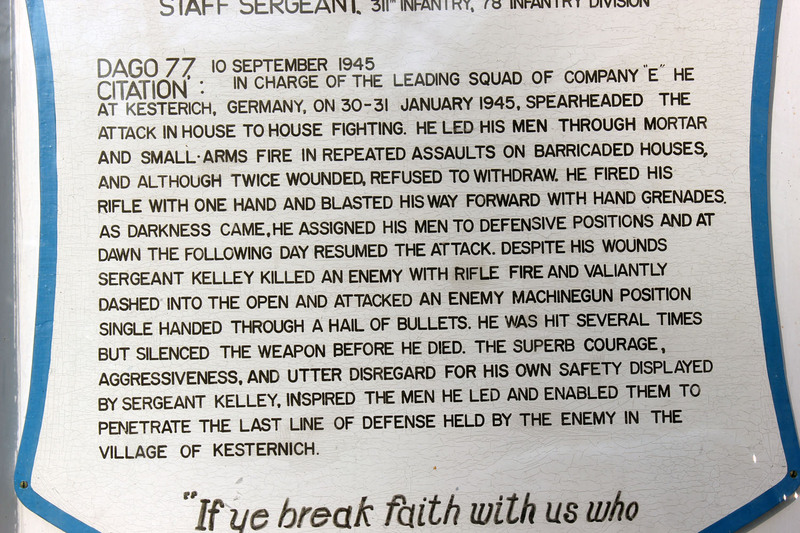 The commanding general of the post, Brig. 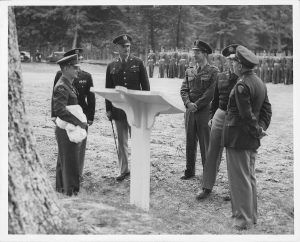 Gen. Arnold J. Funk, and other officials, together with soldiers from several military units, took part in the formal dedication ceremony, according to an announcement from the public information office. 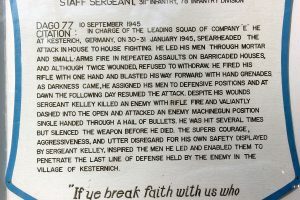 A plaque bearing a brief account of Sgt. 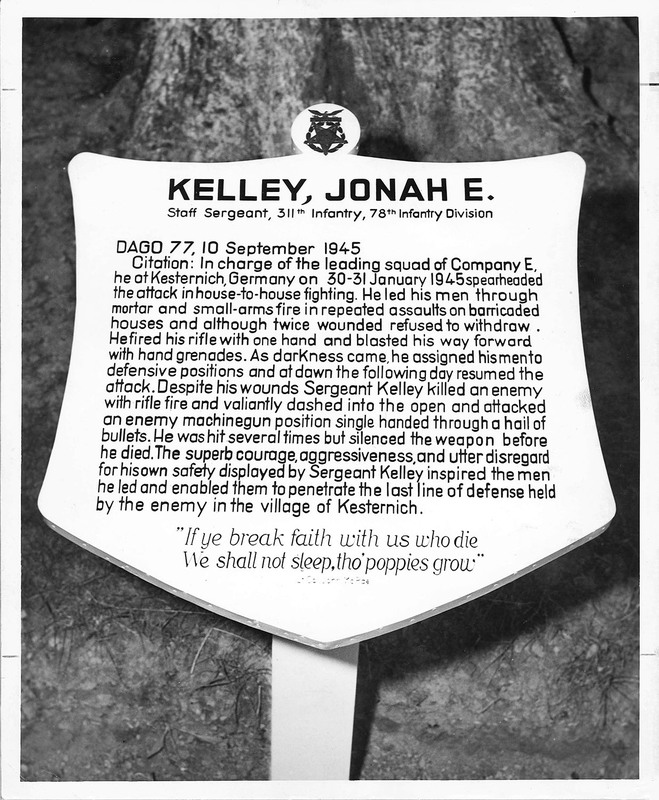 Kelley’s heroic deeds was unveiled in the bar racks area. 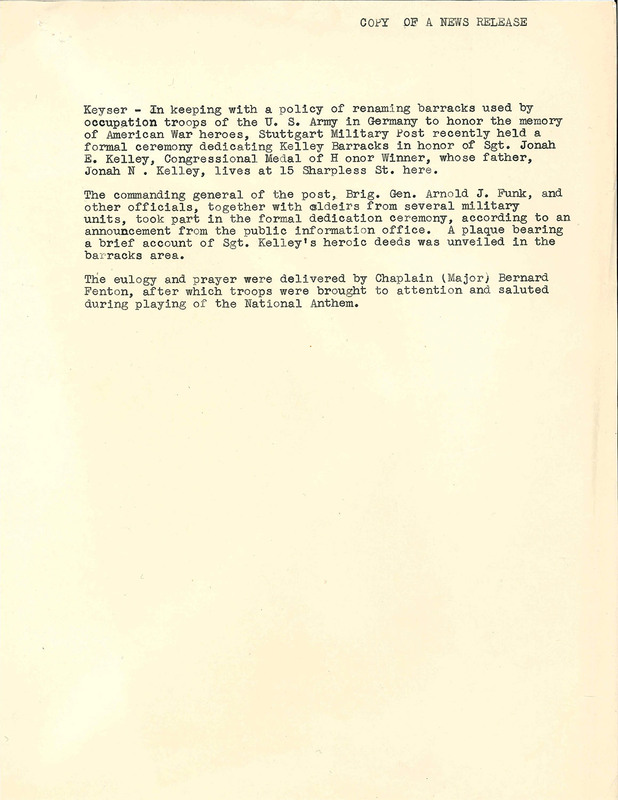 The eulogy and prayer were delivered by Chaplain Major) Bernard Fenton, after which troops were brought to attention and saluted during playing of the National Anthem. 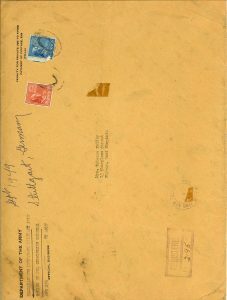 Included in the envelope were the pictures from the dedication ceremony. 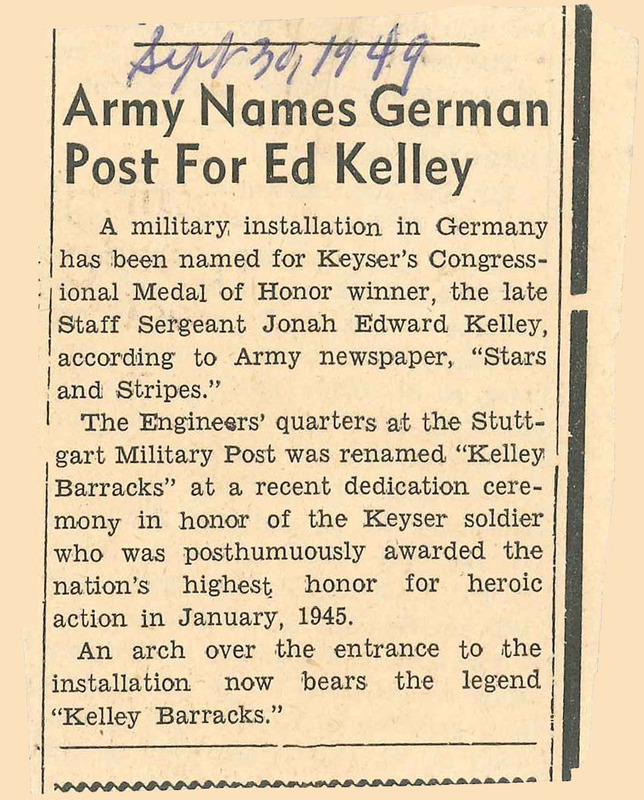 The Engineer’s quarters at the Stuttgart Military Post was renamed, “Kelley Barracks” at a recent dedication ceremony in honor of the Keyser soldier who was posthumously awarded the nation’s highest honor for heroic action in January 1945. 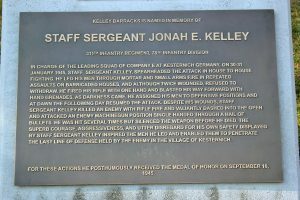 The memory of the late Staff Sergeant Jonah Edward Kelley, of Keyser, this section’s only winner of the Congressional Medal of Honor, was .again honored when a military installat10n at Stuttgart, Germany, was renamed Kelley Barracks at a formal dedication ceremony, his parents have been formed. The above picture and four others of the Barracks and the dedication ceremony were received last week by Mr. and Mrs. Jonah E. Kelley, 15 Sharpless St., from Brig, Gen. Arnold J. Fulk, commander of the Stuttgart Military Post. 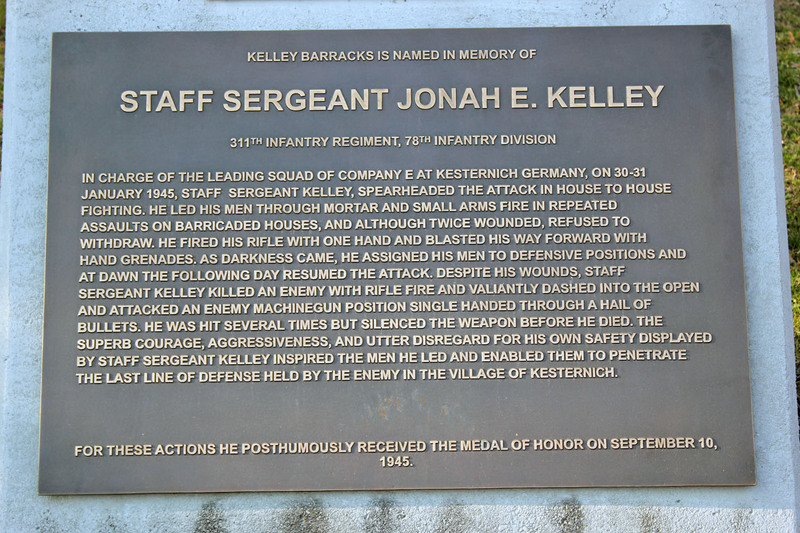 Kelley Barracks was formerly known as Mohringen kaserne, but Gen. Funk told the Kelley’s in an accompanying letter that he had orderd in the installation named for their son, who.se heroi~ action took place near Stuttgart at Kesternich on Jan. 31, 1945, when he died in .the service of his country. 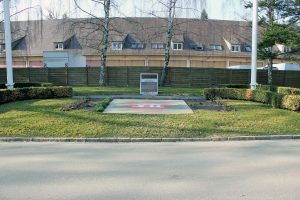 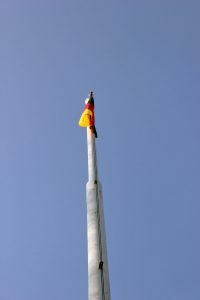 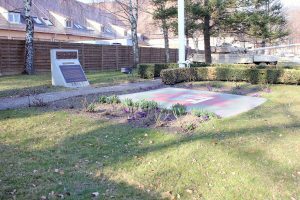 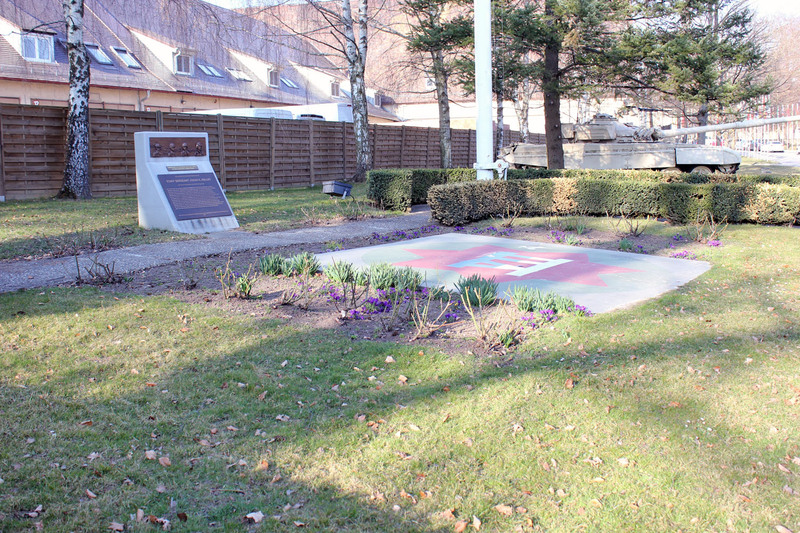 Located in the outer Stuttgart district of Möhringen, Helenen Kaserne (the German name for the installation) officially opened May 7, 1938, housing members of the 5th Air Signal Regiment of the Luftwaffe. 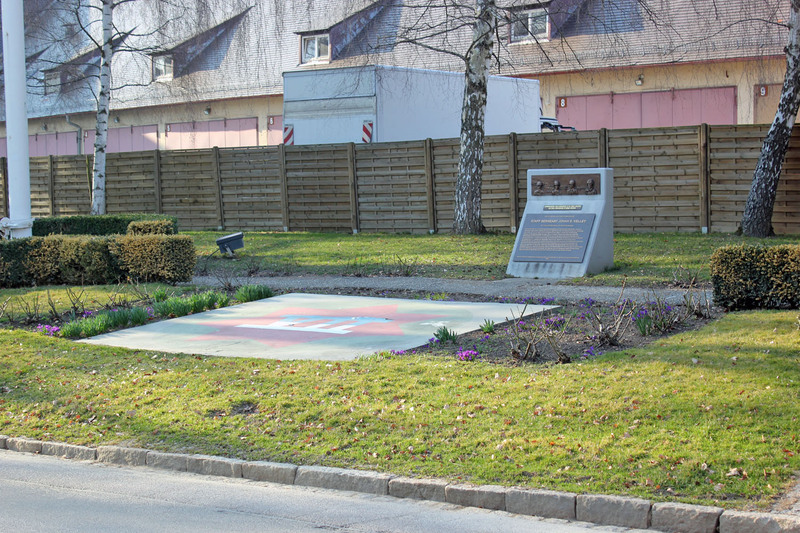 On December 5, 1945 Helenen Kaserne became an American installation, initially part of Stuttgart Post. 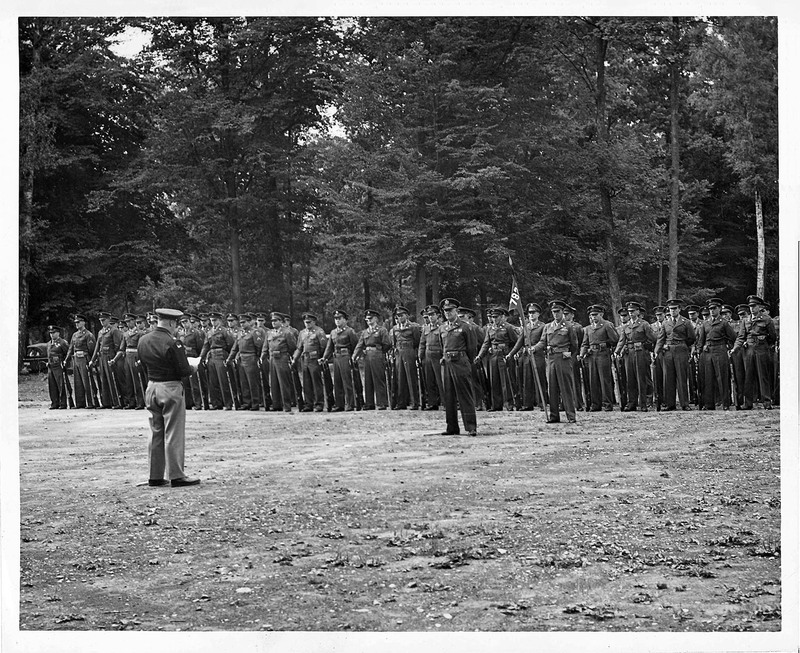 The 7700th Troop Information and Education Group of the US Army became the first permanently assigned unit in 1947. 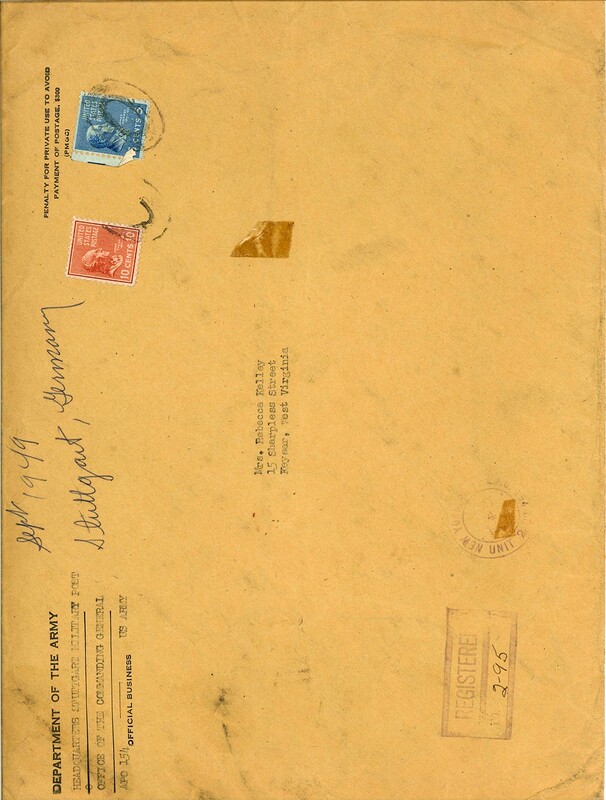 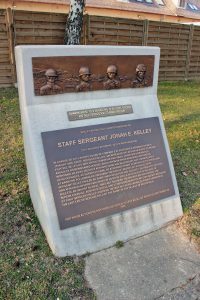 From 1948 to 1951 the US Constabulary occupied the post. 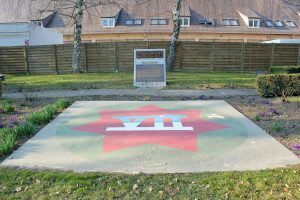 In November 1951, Helenen Kaserne became the headquarters of the reactivated VII Corps. 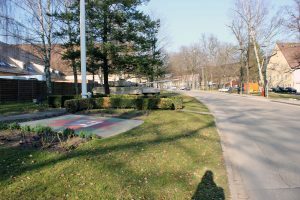 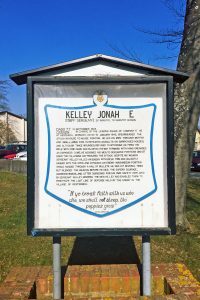 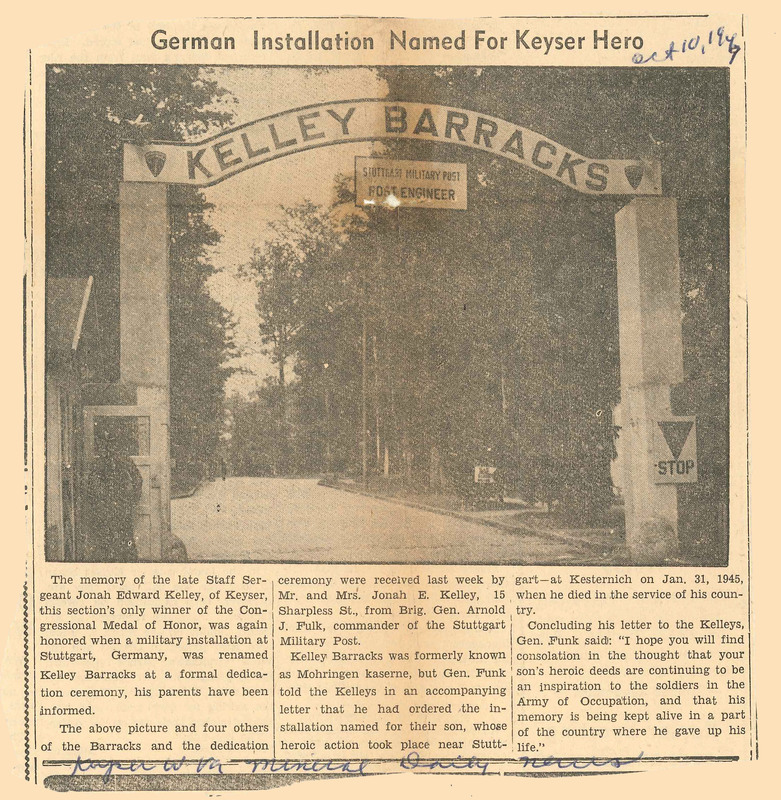 In 1952 Helenen Kaserne was renamed Kelley Barracks in honor of Staff Sergeant Jonah E. Kelley, of the 78th Infantry Division, who was posthumously awarded the Medal of Honor for actions occurring at Kesternich, Germany in January 1945 during the Battle of the Hurtgen Forest. 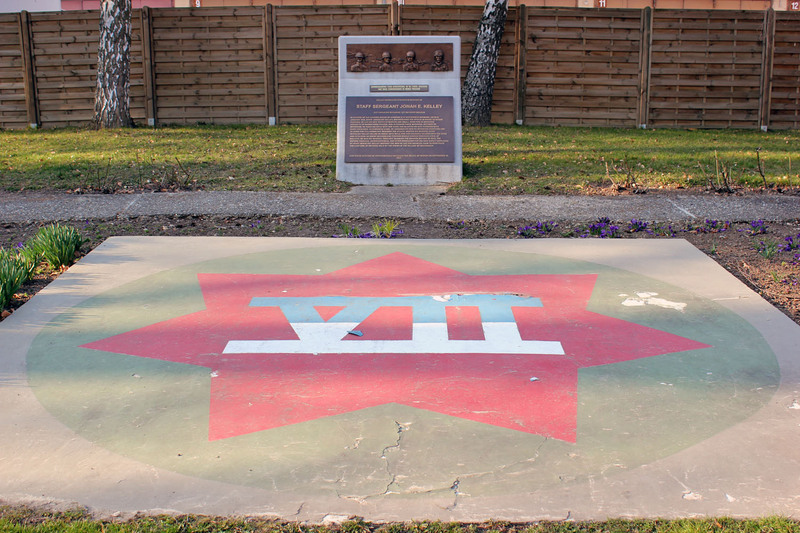 From 1951 until the headquarters deactivated in 1992 (following its return from the Gulf War), VII Corps was headquartered at the base. 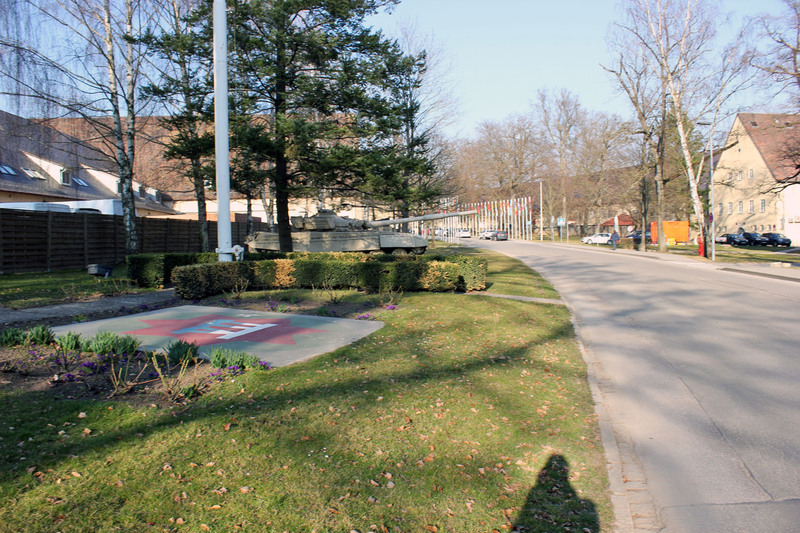 In remembrance of the 41-year history of VII Corps at Kelley during the Cold War and Gulf War, an M4 Sherman tank and a Gulf War era T-72 Iraqi tank flank the main flagpole along with the seal of VII Corps on the main street (Oak Street) of the installation. 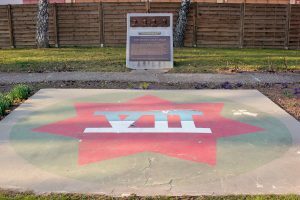 A segment of the Berlin Wall is also displayed as a memorial. 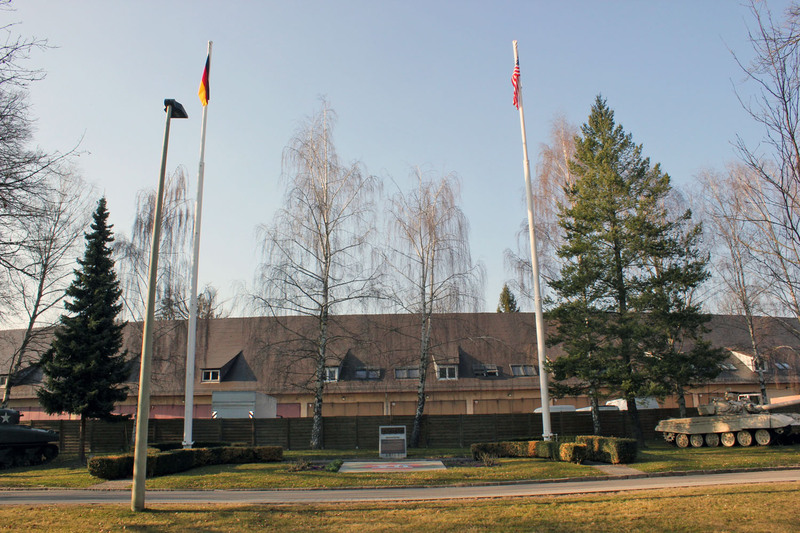 Following the large drawdown of US forces after the Cold War and Gulf War, Kelley was used as headquarters for the 6th ASG (Area Support Group), now US Army Garrison-Stuttgart. 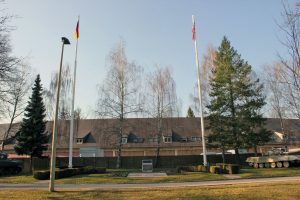 An 8-story Guest house was opened in 2001 to house transient personnel and visitors to the Stuttgart Military Community. 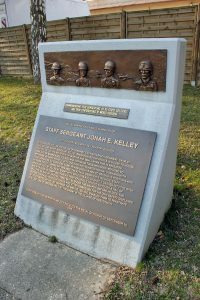 In February 2007, Kelley Barracks was designated to house the Transition Team of United States Africa Command and became the permanent headquarters when the command was activated on October 1, 2008. Kelley Barracks was scheduled to close in 2009, but the Army has spent hundreds of millions of dollars upgrading the base for Africa Command, while telling Congress that it is just a temporary home. 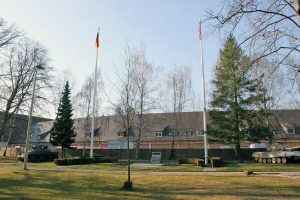 In February 2013, the Pentagon announced that AFRICOM will remain in Germany, ending efforts to relocate the command to the United States. Due to heightened security at all installations, the Main Entrance Gate – used since opening in 1938 – is being replaced to conform to current force protection standards. 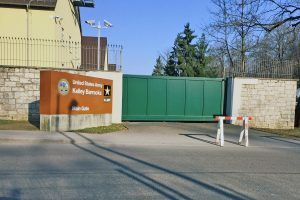 It currently employs approximately 1,700 soldiers, US civil service, local nationals and contractors. 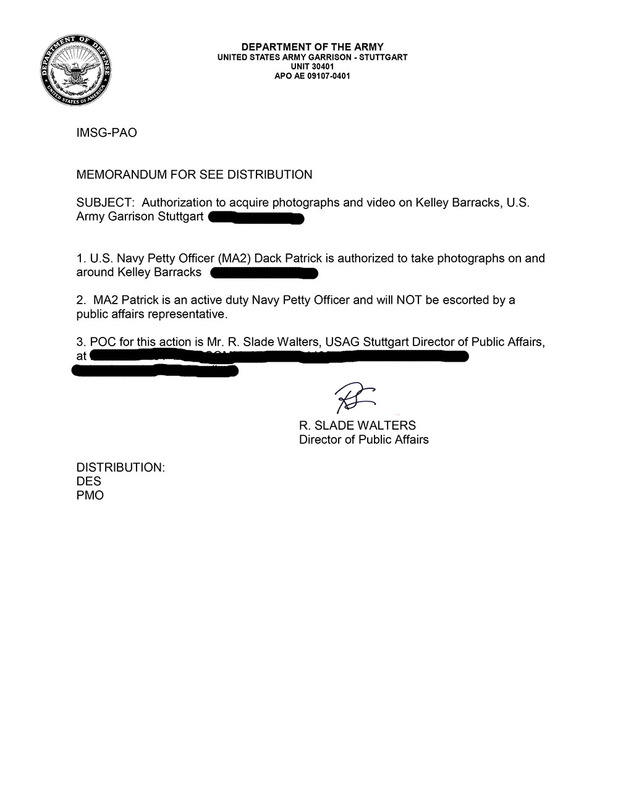 Eddie’s great nephew, Dack N. Patrick III, served in the US Navy from 2003-2015. In 2015, he received permission from AFRICOM to go on base and take pictures [you are typically forbidden to take pictures on base]. 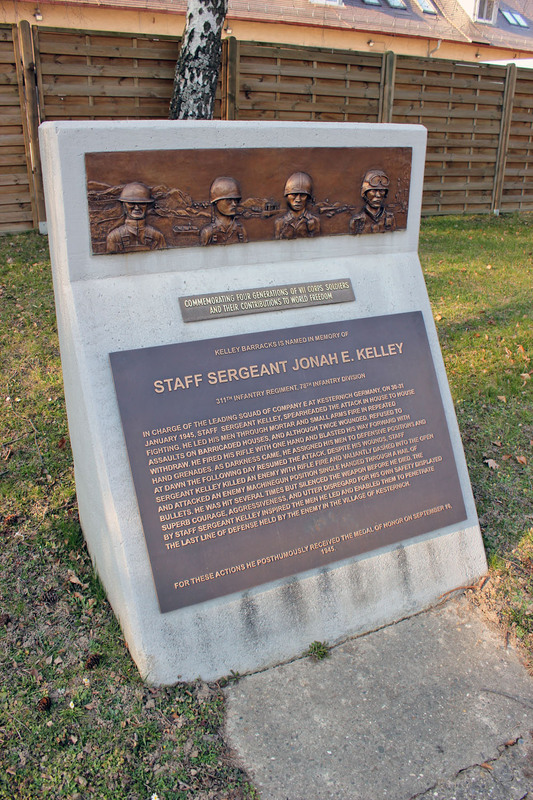 Attached are numerous photos taken during his visit on the installation, this was his first time to Kelley Barracks to pay tribute to his uncles memorial. 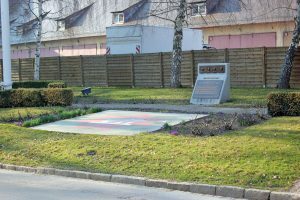 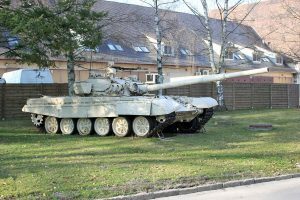 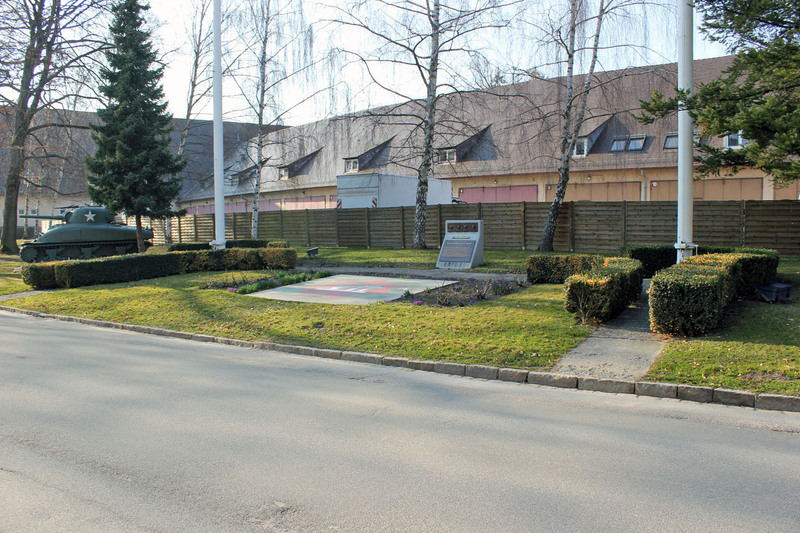 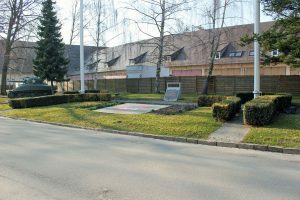 The memorial is made up of a US & German flag, two tanks, and a beautiful flower bed. Kelly Hotel is a 68 room hotel on post at Kelly Barracks. 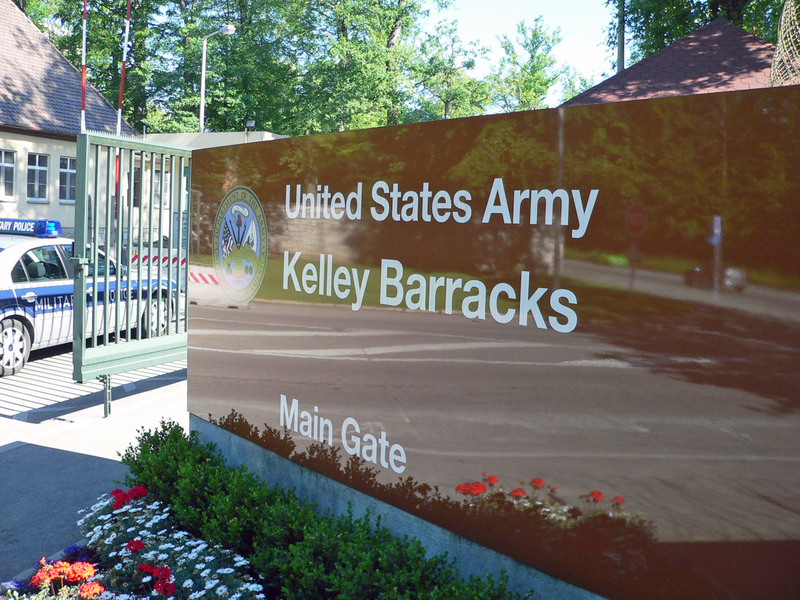 Like other DoD hotels, Kelly Hotel has many amenities. From Free WiFi in all rooms, refrigerators, microwaves, and coffee service. 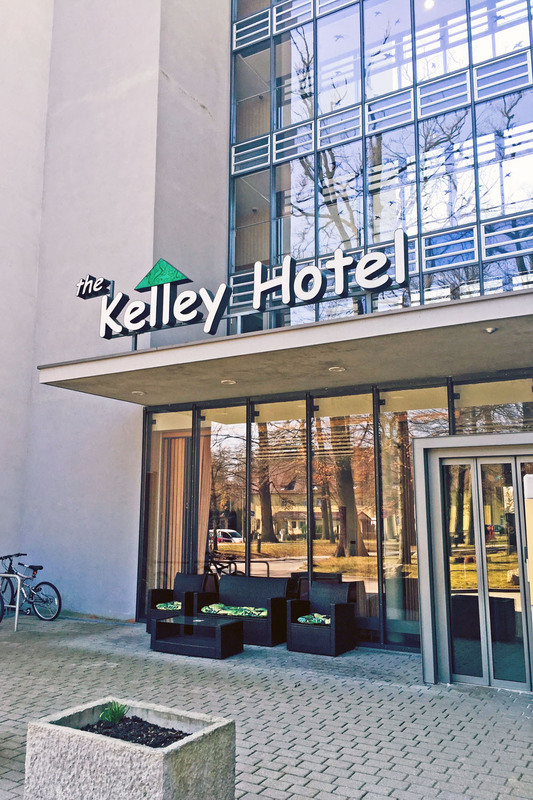 Complimentary continental breakfast, cable television, pet-friendly rooms, soda and ice machines, as well as a smoke-free environment. 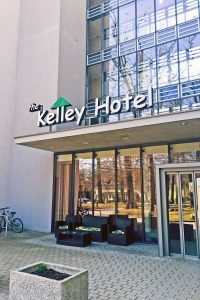 The staff is very friendly and ready to make your stay memorable. 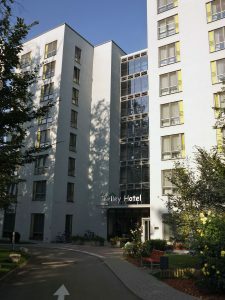 It was remodeled from September-November of 2016. 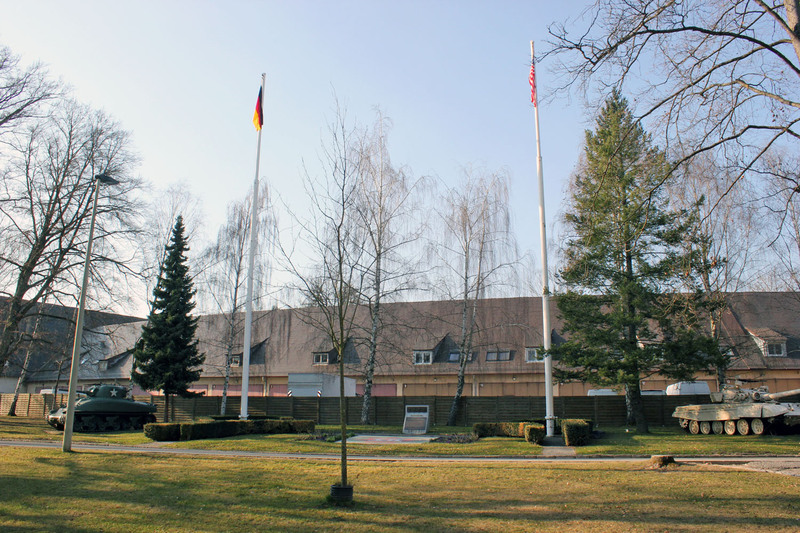 “Kaserne” is the German word for “barracks.” Most seem to have been built during the thirties when Germany was rearming in preparation for what became World War II. The three American military installations in the Stuttgart area, renamed by the Americans, Patch, Robinson and Kelley Barracks, have been occupied by the U.S. Army since the end of hostilities in 1945 and today they remain so. 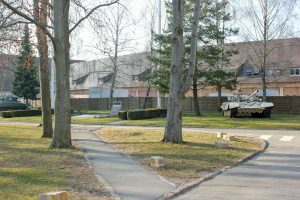 A word about the Kasernes. 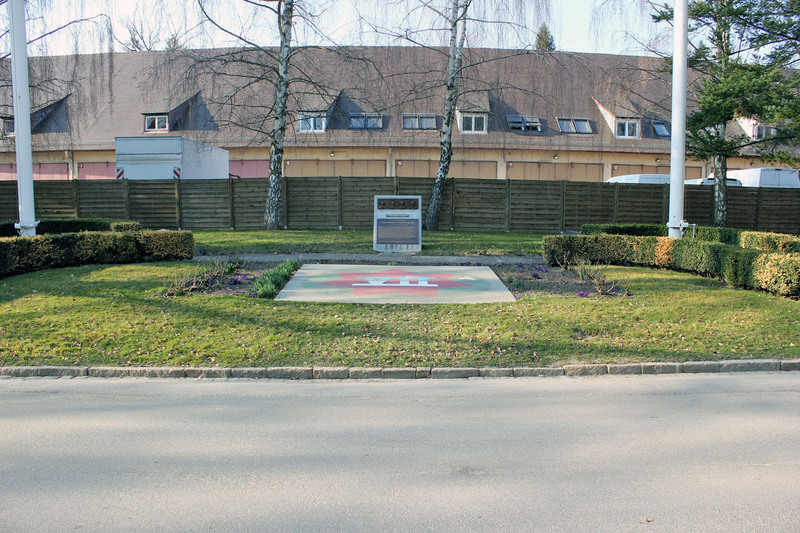 These are the places where the Allied occupation forces have set up their military bases. 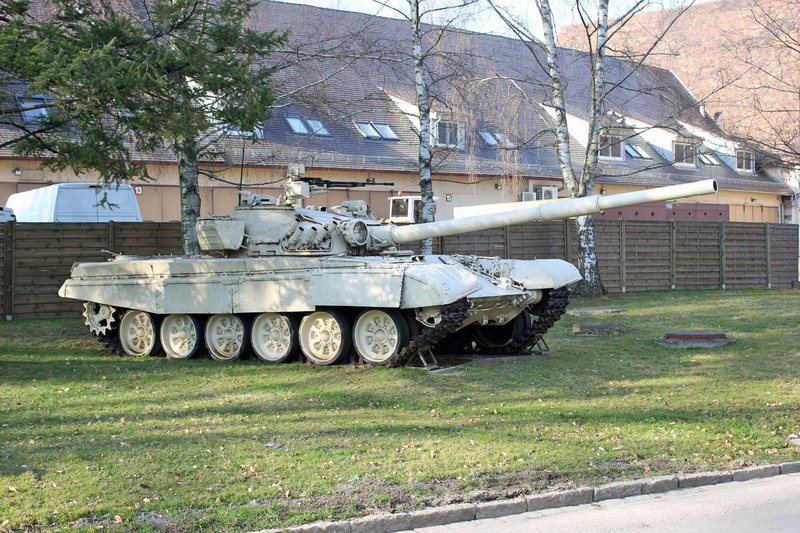 They are not very large by American standards. 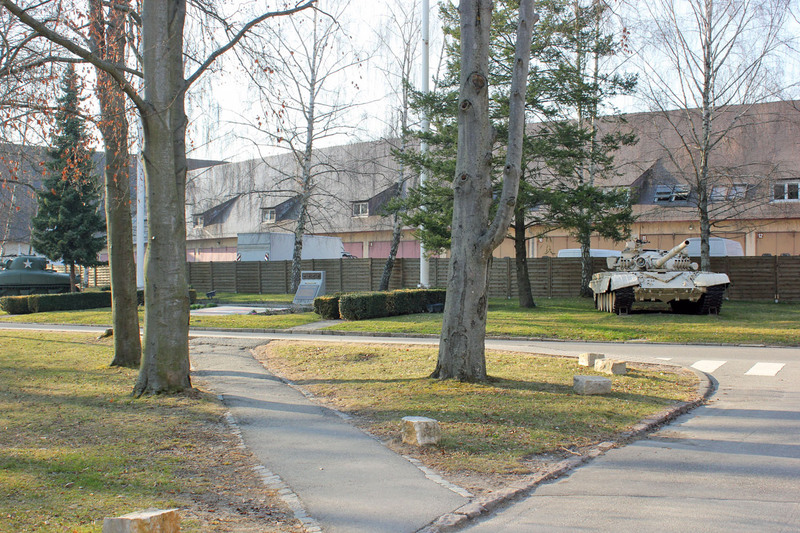 Each Kaserne I have seen consists of twenty or so permanent buildings both offices and housing. 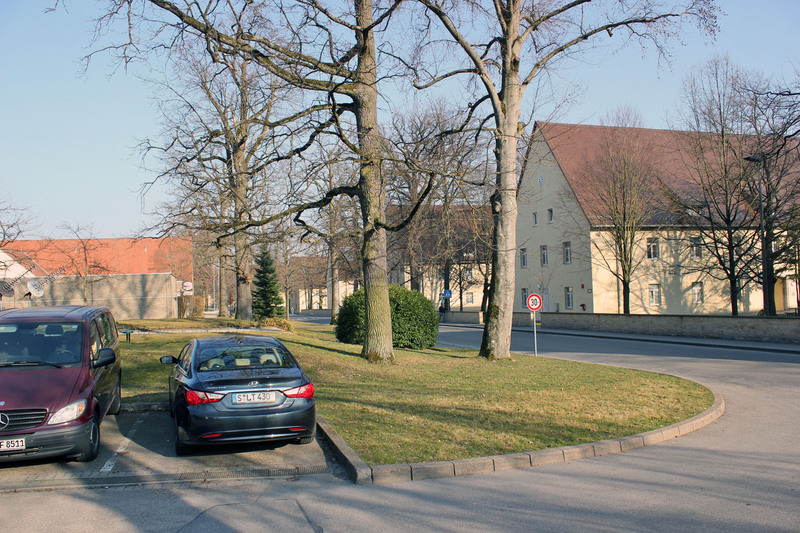 The buildings are either brick or stone and arc usually four stories high. 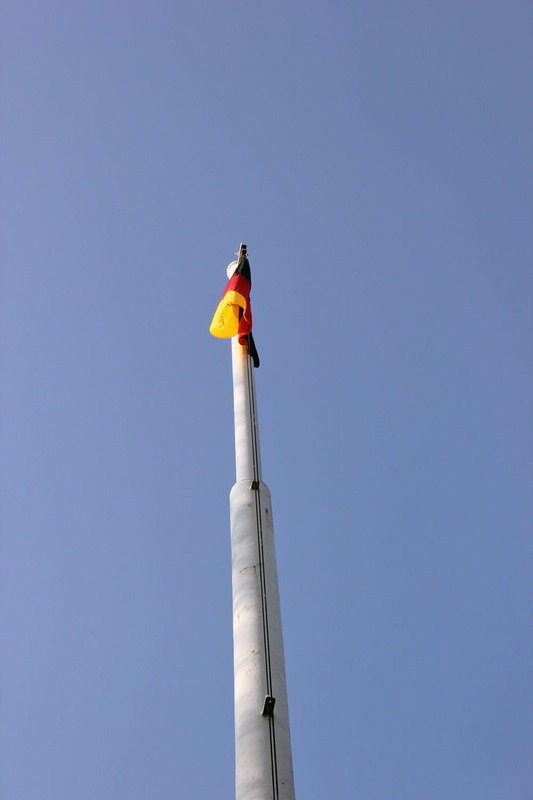 They are painted a light yellow and are simple and distinctly European in design. 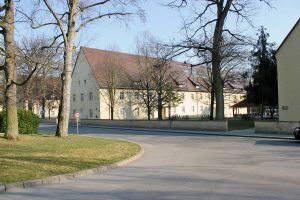 They all have steep roofs and many gables, sometimes on different levels. 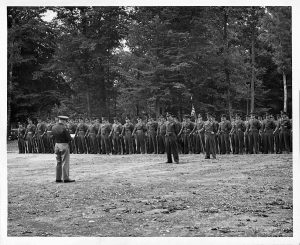 As a place to work and to live, I find them much more attractive and enjoyable then the army installations I have seen in America. 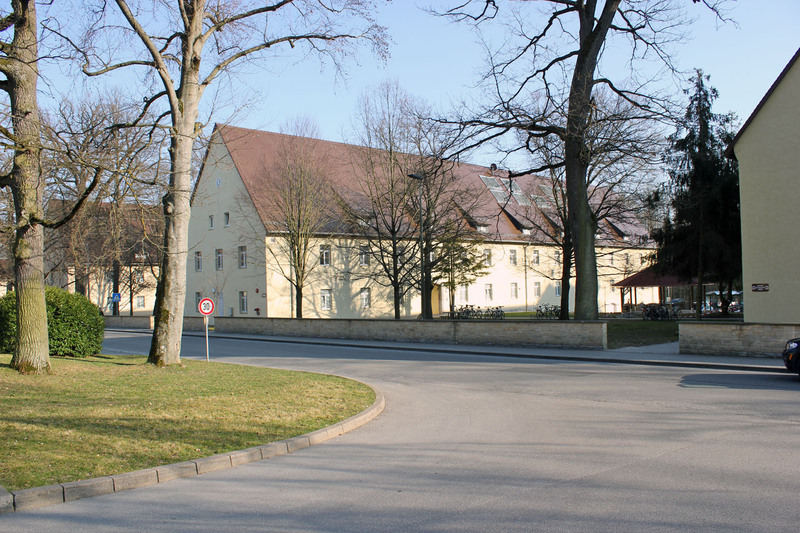 Kelley Barracks in Stuttgart-Mohringen was known by the German Army as Hellenen Kaserne. 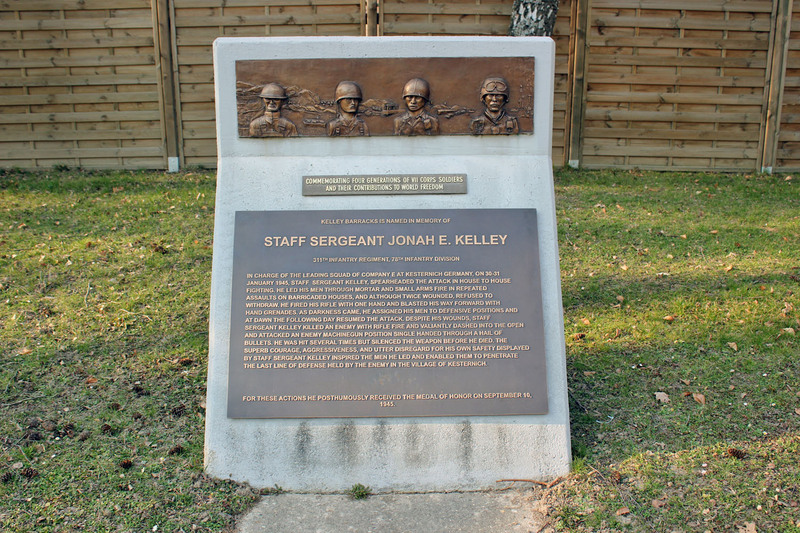 Shortly after the end World War II, the Americans, in honor of Staff Sergeant Jonah E. Kelley, renamed it. 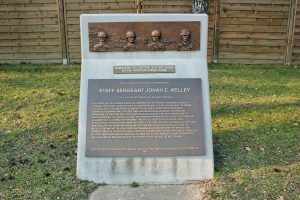 Sergeant Kelley was posthumously awarded the Medal of Honor for actions at Kestemich, Germany, on 31 January 1945. 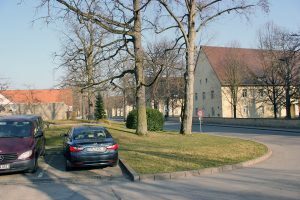 Kesternich where he died is about twenty-five kilometers southeast of Aachen, Germany.